If 2014 has taught us anything, it’s that sound knows no borders. Music has a habit of breaking the frame and exceeding our expectations. Producers, musicians and DJs constantly burst into unfamiliar sonic contexts and shed new light on the profound possibilities of working with audio. 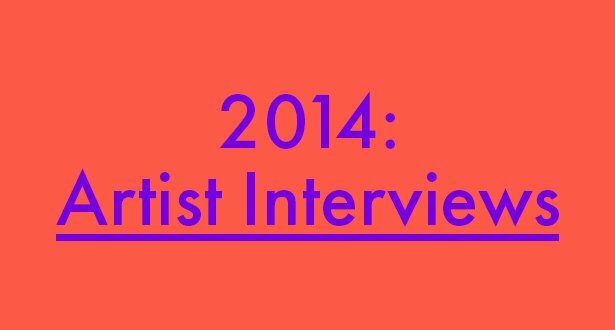 In celebration of the diversity and innovation on display this year, we’ve chosen five of our favorite conversations with the artists who highlight a world beyond music. From the Brazilian underground to field recording by the Black Sea, here are the stories that speak to the power and possibilities of creativity in the global Ableton Community. Most consider insects a pest. For David Rothenberg, they offer an avenue to the primal rhythms that underlie creation itself. If you ever feel like you’re lacking options in your productions, David’s short essay could catalyse the shift in perspective you’ve been looking for. Sonic beauty lurks in the most unlikely of places; in fact, it could be buzzing around you right now. Read David Rothenburg’s article on making music with bugs. New York natives Archie Pelago work on the bleeding point between traditional instrumentation and modern electronics. Their improvisatory style thrives on chance and group interaction, yet they manage to include three separate computer set-ups in their workflow. The way they use Live in their productions and performances is remarkably fluid - it’s a great example of technology enabling rather than inhibiting expression. Read the interview with the trio as they go in-depth on how Live helps get the most out of their natural talents. The World Cup proved the perfect chance to dig deeper into Brazil’s underground music scene. Below the celebratory surface, a complex melange of economics and social structures make building a life in music an intimidating option for young producers. In the face of such pressures, the passion and dedication on display from the three local artists featured in this piece makes for an eye-opening and inspirational insight into the quality music bubbling below the mainstream. Read about new music in the Brazilian underground. On the subject of travel and dedication, Soundwalk Collective use journeys and human experience as raw material for their abstracted, engrossing performances. Their site-specific works reach beyond the confines of typical musical formats, taking on the form of audio encyclopedias and tonal travelogues. From resonating the halls of Berghain to collaborations with Patti Smith, Soundwalk Collective’s story speaks to the possibilities of audio beyond music. Finally, Will Holland aka Quantic, takes us through his international recording process. It’s an unhinged creative method that makes wild geographic leaps, crossing continents and time zones, sometimes just for recording a single song. Mobility is one of the most powerful new tool that producers and musicians have at their disposal, and Quantic’s story unpacks the potential of cultural cross-pollination in the digital domain. Check out the interview with Quantic.